Think about it, the biggest moving part of your home is, surprisingly, your garage doors. That's why safety and reliability are not an option: they are a must! Manufactured by The Chamberlain Group; LiftMaster is the only garage door opener line we recommend and sell. Their powerful motors combined with industrial‑strength rails provide smooth, steady performance and durability. Furthermore, this best‑selling drive system comes with trained technicians. Learn more about LiftMaster products in our residential garage door opener section and see the difference between us and our competitors. Do you have to fix or replace any part of your garage door system? One of our fully‑equipped, certified technicians is ready to come to your home. We also provide proactive preventive maintenance tune‑ups and opener repairs. For residential or commercial emergency service, we can assist you and handle the problem quickly. After hours and on weekends, our personnal are on call 24/7 by calling at 1-800-545-DOOR. Schedule a service call online and get in touch with professionals and find peace of mind! Who are we at Door Systems Metro Boston? 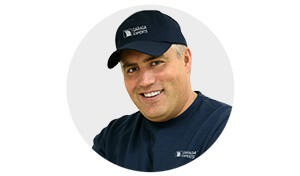 Your GARAGA Garage Door Specialist in Eastern MA and Rhode Island.